As a traditional European wine bar, we strive to make quality wine approachable while creating a relaxed and hospitable atmosphere for our guests. A perfect place to unwind with friends, celebrate life’s milestones, or simply enjoy a glass after a long day of work. To accompany our wines, we offer a wide range of artisan charcuterie, cheeses, a rotating tapas menu, and other various small plates. Join us for live music every Friday and Saturday, featuring the area’s best musicians. 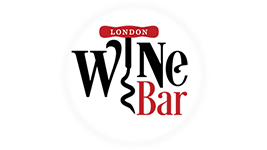 Located in the heart of Wortley Village, a large selection of hand selected wines from all over the world meet internationally inspired cuisine at London Wine Bar Wortley Village. The inviting European inspired decor and an extensive list of appetizers and seasonally-inspired features, combined with the eclectic seasonal cocktail menu and wide-ranging wine list make guests feel right at home. Enjoy sampling our homemade food and the best local ingredients the area has to offer.